Most carpet is made of synthetic fibers such as: nylon, olefin, polyester, and some acrylic. These synthetic fibers rarely wear out (except on stairs), instead they ugly out. What we mean by that is, the fibers crush, or mat down, or flatten out. They also abrade or get scratched. You see, your carpets are made up of thousands upon thousands of very small thread-like fibers that are twisted together. These fibers are basically translucent pieces of plastic. That means that light can pass through them, like a colored Plexiglas. You know how Plexiglas looks after it gets scratched, dull and dirty. Well improperly cared for carpet can look the same. What scratches carpet is gritty soil and sand that is left in the carpet and when it is walked on it rubs against the fibers and scratches them. After so much of this scratching, you can clean the soil and sand out but the damage already done is irreversible and you get is, what we call in the carpet cleaning industry, … traffic lane gray. This is where the fibers are clean, but since they are so scratched up they do not reflect the light back to the eyes and now take on a dull appearance which is commonly mistaken for soiled carpets. This usually happens first in the heavily walked on areas or traffic lanes. 1. Use walk off mats. Every entry into the house that is used should have an outside mat that is rough enough to remove mud and other debris and soil and the inside mat that is absorbent can remove any moisture. The outside mat should be able to withstand the elements and have someplace for the dirt to drop into so that it does not get contaminated and start doing the opposite of what it was intended to do. The inside mat should be heavy enough to lay flat and have a rubberized back to prevent creeping. These mats should be small and light enough to be able to be washed in your home washing machine and should be cleaned regularly. 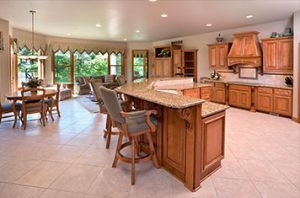 Right off kitchens to prevent cooking oils and food-stuffs from being tracked into the carpeted area of your home. Any other hard surface areas that adjoin to carpeted rooms. 3. Vacuum your carpets regularly. At least twice per week and more often if you have children or pets. Vacuuming your traffic lanes every day will give you the best protection against premature uglying out of your carpet. 4. Have your carpets professionally ‘Steam Cleaned’ a minimum of once per year, more often if you have pets or children. Most people wait until the carpet is visibly soiled before they clean their carpets. This is not wise. What causes the most damage to carpets is the abrasive particles that are stuck to the carpet fibers by oil residues. These oil residues are everywhere and are from the burning of hydrocarbons from motor vehicles, factories, power plants and volatilized oils from cooking. They are so small that we usually cannot see them. But they always settle down and land on the largest horizontal surfaces, our carpets! Once the oil is on the carpet, the soil then sticks to the fibers and no vacuum cleaner can then remove it. Also regular cleaning helps prevent matting and crushing of carpet by removing the oils that cause fibers to clump together and compress. When the carpet is so soiled that you can visibly see it then the abrasive soil has been rubbing on the fibers way too long and damage has already occurred. The Canadian Environmental Agency recommends that carpet in a residential setting be cleaned a minimum of once per year and every 3 to 6 months if children and pets are present. Their reason for the frequency has more to do with maintaining a healthy indoor environment than appearance but it is still good advice. 5. Maintain your vacuum cleaner. Most vacuum cleaners in America today are 70% ineffective, because the bag is over 1/2 full. After the bag is 1/2 full, the vacuum efficiency is greatly reduced. Once your vacuum cleaner bag is 1/2 full you should change it. Check the brushes of your vacuum cleaner, when placing a pencil on the base of your power head, the brushes should just touch the pencil and bend slightly as you turn the brush. If it doesn’t you could be losing up to 50% efficiency. Adjust or replace the brushes if needed. 6. Have your carpets retreated with stain and soil resistant products regularly after a through, deep cleaning. Although you may have purchased your carpet new with some type of soil or stain resistant treatment, all topical treatments like these loose effectiveness over time through wear and in the cleaning process. The only way to insure the highest level of protection is to retreat after each cleaning. Most spills can be removed if attended to quickly. The longer a spill stays on the carpet, the greater the chance that damage will take place. Keep a quality general spotter on hand and preferably have a multi part professional spotting kit to cover most spills. Groom your carpets. Yes, your carpets need to be brushed just like your hair to ensure optimum health. What it does is to pull up or lift the tufts of fibers and make them stand on end. The helps to control matting and crushing, and allows your vacuum cleaner to reach down and get the sand and grit in the base of your carpeting. It has been estimated that grooming prior to vacuuming increases loose soil removal by 23%. Bridgepoint Systems, creators of Maxim Advanced, is a leading manufacturer in carpet products for the cleaning industry. Bridgepoint Systems is a prime resource for cleaning, deodorization, surface protection, and restoration chemical solutions. 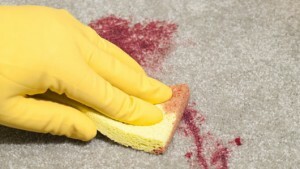 But do be careful how you work on stains – Improper stain removal techniques can cause irreparable damage!! 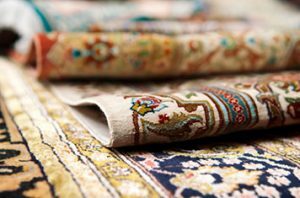 Your carpets represent a sizable investment. It would make sense to take measures that would extend their life.